ResonatorDC-300rx-01, 2015, Cast concrete with copper rod and light, 30 x 30 x 20cm. 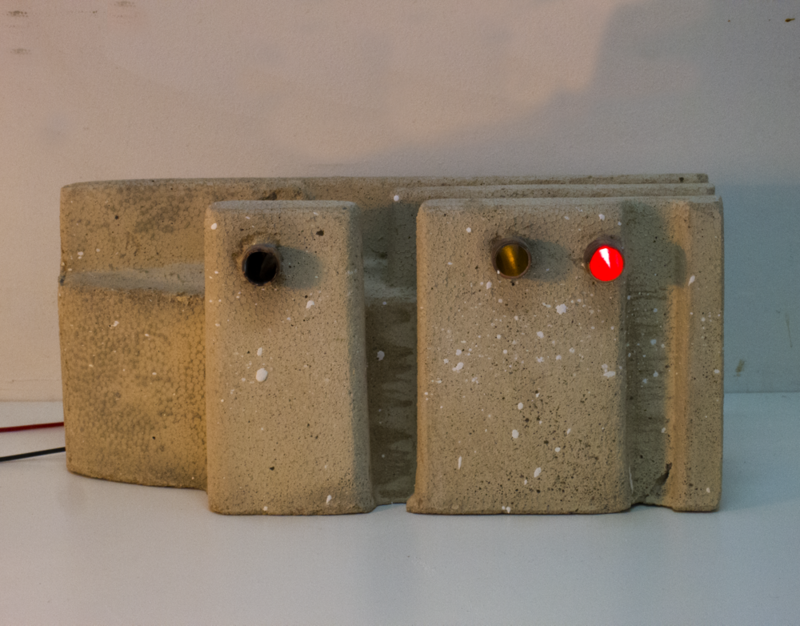 Quasi industrial non-utilitarian objects in cast concrete. 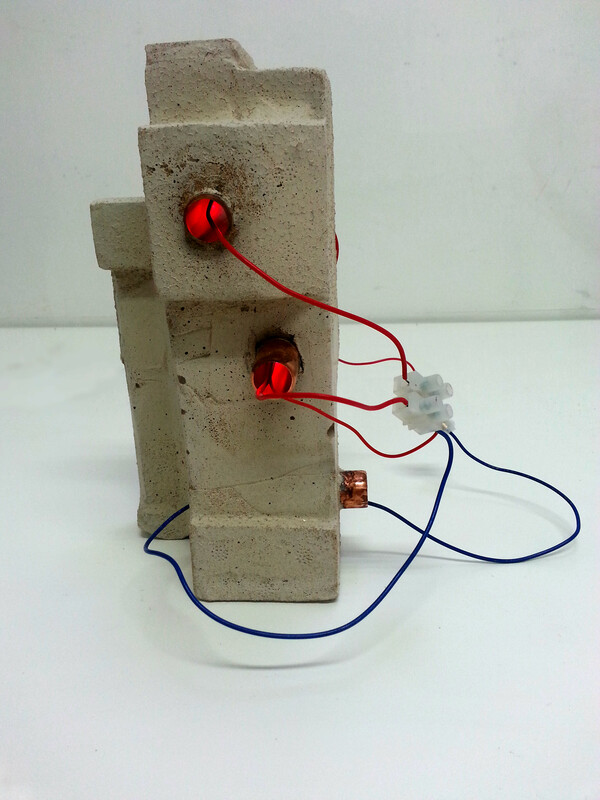 F.O.M.O., 2015, Cast concrete with copper rod and light, 40 x 25 x 20cm.